In this paper I seek to uncover the the Way of all faiths, the One dharma or ethico-spiritual dedication of the world religions, so aptly encapsulated in the last of the Ten Sufi Thoughts articulated by Hazrat Inayat Khan as the basis of Sufism. In the words of Hazrat Inayat Khan, "There is one Path, the annihilation of the false ego in the real, which raises the mortal to immortality and in which resides all perfection." Using the lens of the five pillars of Islam, the foundational principles of the Islamic faith, I would like to demonstrate how the common thread of spiritual relationships (God-Man, Prophet-Follower, Saint-Disciple), prayers and litanies, rites and ceremonies, fasts and sacrifice, and charity and good-will runs through all faiths. The great universal Truth contained in the common Heart of World Religions, flowing as the mutual animating force through the diverse arteries of the individual bodies of belief systems, remains masked by an exaggerated accent on outer forms and tradition-specific terminology. Mysticism shows the one, clear way to peace on earth through harmonizing our apparent differences and distinctions in the growing light of our mutual oneness. Sufism is a practical explication of the confessional formula of the Islamic faith: La ilaha ilallah/There is no deity save Allah also interpreted by the Sufis as There is no truth but the Real. Through a process of annihilation of the subjective ego, the spiritual aspirant climbs the mountain of selfhood to reach the summit of the True Self, where man realizes the secret of the words that divinty is the enlightenment of humanity. Divinity is human perfection and humanity is divine limitation. To find the Kingdom of God here on earth and to reclaim the lost paradisiacal state of our being, all that is needed is the expansion of our narrow, finite mode of perceptions, attitudes, objectives and beliefs. The Prophets, Saints and Masters are embodiments of Universal Consciousness, the Spirit of Guidance, and their definition is that of the Universal-Man, al-Insan al-Kamil, the appointed vicegerent of God, the instrument of the divine revelation of Its perfection of Love, Harmony and Beauty. 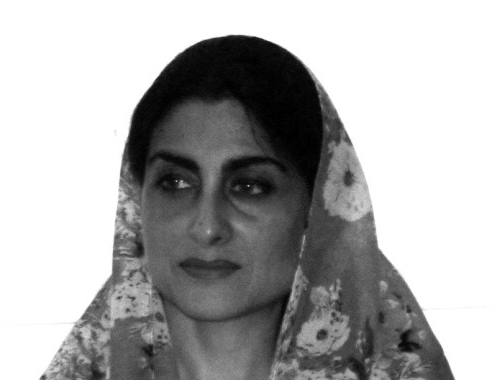 Shaykha Amat-un-Nur (Naila Hayat Noon) holds a Master’s in Comparative Philosophy: Islamic and Western Mysticism. She has been actively involved in the Sufi Path for the last 15 yrs, remaining a student of Pir Zia Inayat Khan, the head of the Inayati Order in which she serves as a Representative for the South-East Asian Region and a Spiritual Guide. Her passion is to work for the uncovering of the one Light and Truth that radiate from the Heart of all religious and spiritual traditions, inculcating through spiritual education, the beauty of unity within diversity and the harmony of human existence. Another very vital dimension of her work is the rediscovery and re-affirmation of the sacred role and relevance of the Feminine in Islam through spiritual awakening. In a world fractured by increasing separation, exclusion and intolerance, she serves the work of spreading the light of spiritual consciousness through offering teaching seminars and retreats internationally.